3. By manually adding a prospect to the system. 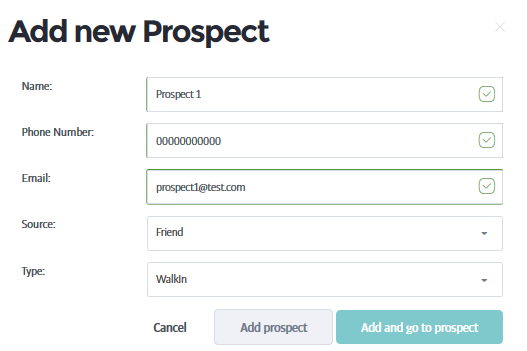 To manually add a prospect to the database, you need go to Sales > Prospects, and select the 'Add Prospect' button. You can either add the prospect, or add the prospect and visit their profile. Once this is completed, the prospect will be stored in your database, and will initially be classified as a 'hot' prospect.